Rahul Gandhi's Nyuntam Aay Yojana Is The 'Final Assault On Poverty'. Really? Poor? Debt-ridden? Desperate? The Congress promises to repair India (and itself) if it gets the job. Can Congress Regain Its Former Glory In Allahabad? Can Congress-JD(S) Clinch A Win In Karnataka? 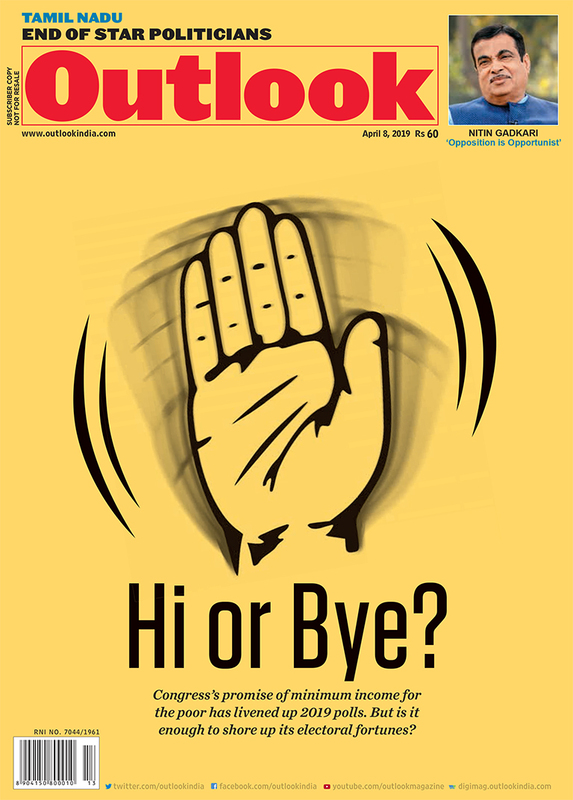 The crucial element for the Congress in Karnataka is the ­contour of its pre-poll pact with the Janata Dal (Secular). Will KCR Decimate Congress In Lok Sabha Elections? KCR has already lured around 10 Congress MLAs to reduce the party to single digits in the assembly. Congress does not have a single candidate from the religious minorities on its Tamil Nadu list. Will Congress Spring A Surprise In Bengal? The never-say-die Congress optimism still flies high in Malda and Murshidabad. 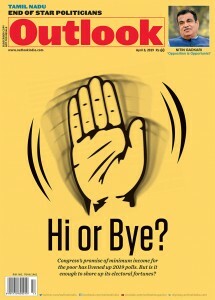 Even analysts believe the Congress will spring a surprise, bagging at least five seats in this ­bastion. Three of the 15 Congress MLAs in Odisha left the party. A fourth legislator, who was expelled along with senior leader and former Union minister Srikant Jena for anti-party activities, joined the BSP. Congress continues to manifest in defections of several leaders with generations of “Congressi” background. 29-year-old school principal Rizwan ­Assad Pandith died in police custody in south Kashmir’s Pulwama district. Kamalahaasan sails singly into the Lok Sabha scrum. Other actor-politicians in the state aren’t that relevant in 2019. Several Dera followers say they could decide on voting the party that promises to get their guru released from jail. Himalayan range, Valleys, Buddha statues: In Outlook this week, a diary from Bhutan. To break millennia-old oppression, violence is a useful tool, says Awad. His life’s fight for Dalit rights is a fight to install equality in their minds. Thinking about what to read next? Here's a list of news releases.